Now it is December I need to get myself in the Christmas spirit. The kids certainly are singing Christmas songs at every opportunity possible. 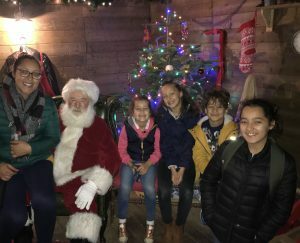 Last weekend we were lucky enough to be invited to visit to see Father Christmas at Sealife Centre Weymouth. It was the kid’s first surprise of the Christmas season, the kids thought we were just going to the seaside for a winter wall along the beach. As we travelled down to Weymouth it was a really dreary day with heavy rain. Luckily once we parked the rain eased off. Still playing along with the surprise grabbed some lunch then headed to the beach for a little walk. After our brief walk, Aliza asked if we could go to her favourite sealife centre. She fondly remembers it from past visits, so as not to disappoint a 5-year-old I agreed. Knowing that they were all in for a real treat. We had access to the centre before our allocated time, so the kids raced to see their favourite’s. Nemo and Dory, of course, closely followed by the Turtles. 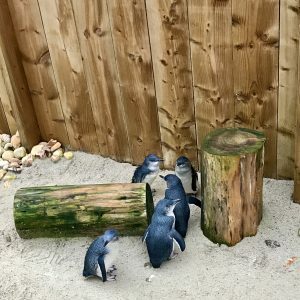 This visit was the first time we had seen the newest addition to the sealife centre, the fairy penguins. The kids loved them, so cute I could take it home my 9-year-old say. The penguins are only about 25cm. The keepers were very informative and shared lots of interesting facts with the kids. They are native to Australia and New Zealand, this group travelled all the way from a sanctuary in Manly, Australia when it closed down. We could have watched them for hours. Our visit to Father Christmas was scheduled in for after the park closed. We sat and waited in the cafe until it was time. By this time it was dark and we followed the lights through the park to the Reindeer’s Stable. Where the jolly elf greeted us, chatting with the kids, who were already mesmerised. 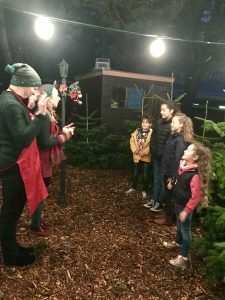 We followed the elf through the festive forest. Stopping to see the reindeers and the parked sleigh across the water. Then zigzagged through the real Christmas tree forest to the lamp post. At the lamp post, the kids made a wish and then it snowed! Then onto the main event, once we were at outside the cabin the kids knocked and waited for Father Christmas to allow them to enter. We all entered and the kids were beaming by this point. So lovely for us to watch, Grandma, joined us for our festive family afternoon. Father Christmas was magical and the kids chatted at ease with him. They talked about where he would visit first and his route around the world. And of course, they told him what they wanted for Christmas. We had time to take some memorable pictures and then it was pressie time. The kids even got a Christmas pop badge to take home too. It was a lovely afternoon and a great start to the festive season. 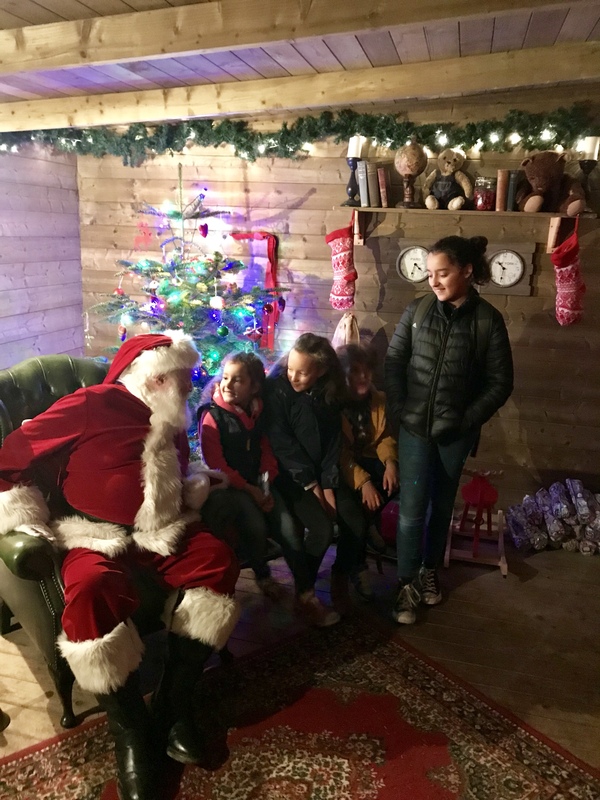 Father Christmas officially arrives Saturday 8th December 2018, he will be visiting Sealife throughout weekends until 17th – 23rd December. Then he will be there daily and every child meeting Father Christmas will receive a special SEA LIFE gift. 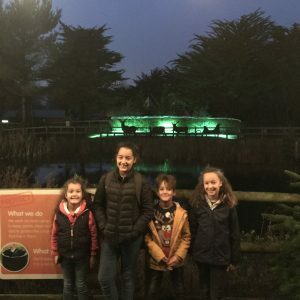 Disclaimer – We received a preview VIP invite to Weymouth Sealife Centre to review and share our honest views on the experience.